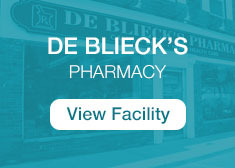 You can order refills for existing prescriptions using our form on this page. 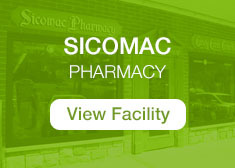 If you are a returning patient, simply enter your prescription information by selecting the pharmacy below. Prescriptions are usually available for pickup 2 hours after submission of this form. Thus your order should be ready by the approximately time listed below provided the prescription are valid refills and the medication is in stock. For urgent requests please call the store directly. *Please note the store hours listed here. Orders are not available after hours. In this case, they will be available the next business day. Prescriptions will be delivered within 2-6 hours after submission of this form. If the form is submitted within 2 hours of closing or overnight, delivery will be scheduled for the next business day. For urgent requests please call the store directly. Please indicate in the notes section below what day/time you plan to pick up your medication so we can ensure it is ready for you. *Please note the store hours listed here. Delivery service is available after the following times until close of business for the following stores. 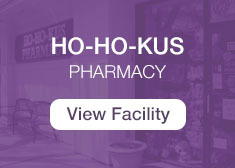 Ho-Ho-Kus Pharmacy: Delivery Available after 12 noon. 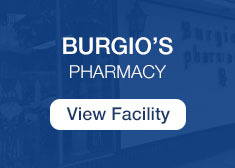 Burgio's Pharmacy: Delivery Available after 3pm, Mon-Fri.
Any questions, please contact your local pharmacy staff. Thank you!